Update [January 31, 2017]: We could soon see Samsung update the Galaxy S6 Edge Plus users in Europe, particularly Russia, to Android 7.0 build, known as Nougat. 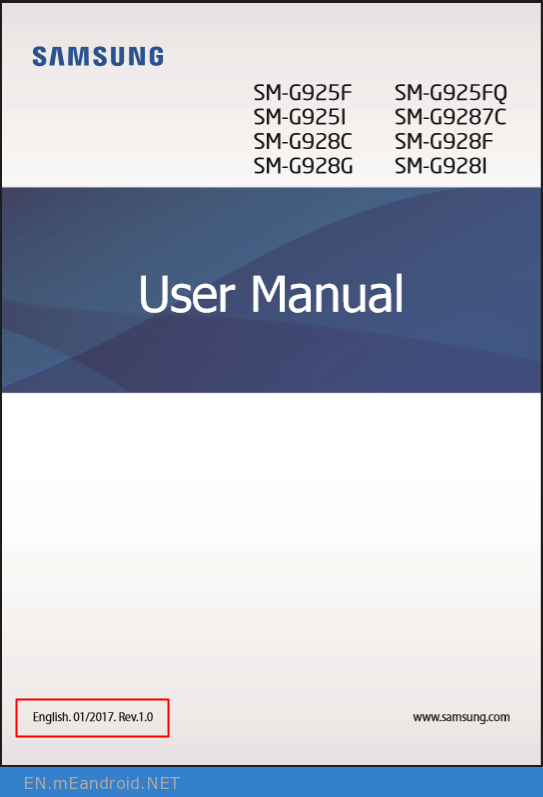 We just spotted a Nougat-updated user manual over at Samsung Russia, which basically confirms that they have the update ready with them, and could begin the rollout shortly. Update [December 29, 2016]: The Galaxy S6 Edge+ at Verizon is now receiving a new over-the-air update to build G928VVRS3BPL4, which installs the December security patch on the device. The PLs update is based on Android 6.0.1, as the Nougat update for Verizon Edge Plus remains pegged for February release. 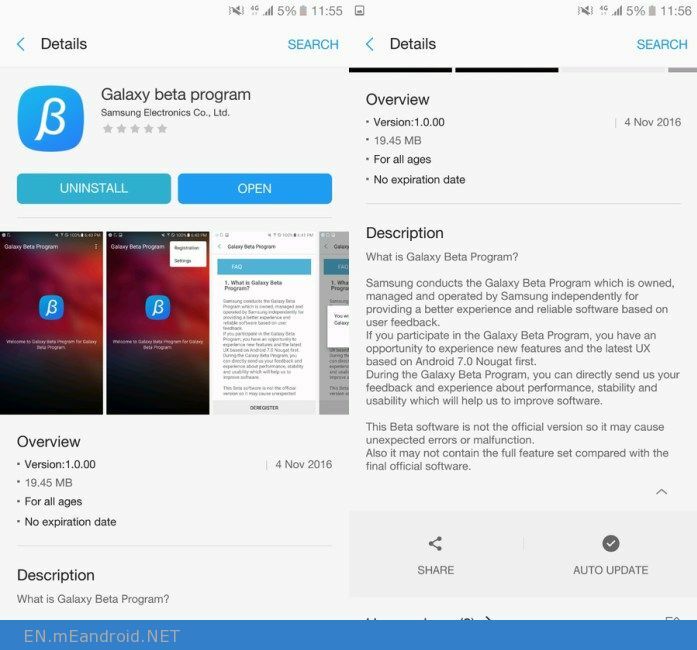 Update [November 04, 2016]: Although your S6 Edge Plus won’t be receiving the Nougat update as beta version right now, but the said update is indeed available as test version in beta form via a new app launched today by Samsung in Galaxy Apps store, the Galaxy app program. Though it would not hurt trying, or at least be ready if and when Android 7.0 beta update hits S6 Edge Plus. 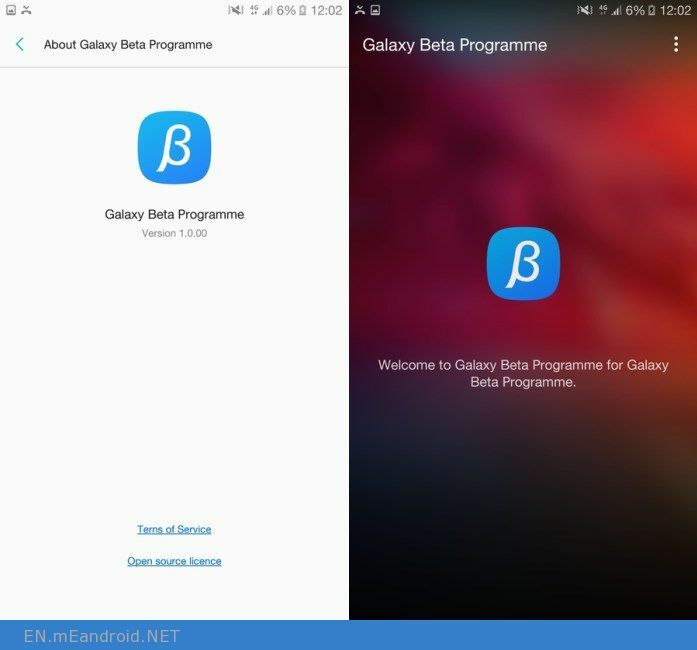 So, you can participate in the Nougat beta program, and for that, look at our Galaxy beta program APK page, where you can follow the guide to enroll yourself and your device for the Android 7.0 beta. We think the Android 7.0 beta would hit the Galaxy S7 and S7 Edge sets first, before eventually rolling out for the S6 sets ind December end. What do you think? Update (September 24, 2016): AT&T has started rollout of a new update for the S6 Edge Plus that comes as software version G928AUCU3CPHA. The update installs some new features to the device, chief among them being Wi-Fi calling, which allows you to place an HD call and send SMS using Wi-Fi network. Advanced messaging is also part of the changelog, and then there are some security fixes to round up the update. The PHA update is pretty big at around 405MB considering there is no Android version upgrade involved. (September 21, 2016): Verizon Galaxy S6 Edge+ is receiving a new update today in the form of build G928VVRS3BPI1, which brings the most up to date security patch to the device. Well, we would take that September patch level, but there is nothing else part of the changelog, so that’s all about the PI1 update, of which Verizon has kept shy of mentioning. We know you are quite excited about the Android 7.0 Nougat update, and would want to know when it would release for your Galaxy S6 Edge+. Well, the S6 Edge+ will definitely receive it the Nougat OTA in due course, but it won’t be as quick as you would hope for. Read on to know why. Moreover, we will also share all the updates that comes to Galaxy S6 Edge+ here, so be sure to check this page frequently to know about latest update for S6 Edge+. Galaxy S6 Edge+ Nougat update: What’s new 2017? The Nougat update is a feature-rich update: both on the face of it, and inside too. The improved notifications shade, Settings app, multi-window mode and slightly changed Recents screen along with quick settings toggles make up for the on-the-face changes in 7.0. Oh BTW, tapping two times continuously on Recents will pop up the previous app directly for you. Easy! While, on the inside, you have new data saver feature, improved Doze mode, and many more things including the vastly improved Gaming visuals thanks to Vulkan API — games will have to be updated to make use of this API by the developers. Samsung is also looking to toss some of its own into Nougat update, as per Sammobile. Its GraceUX, which is currently exclusive to Note 7, is rumored to make it to S7 and S7 Edge. Now, it could come to Galaxy S6 Edge+ too, because Samsung has provided such updates related to its custom skin before too — dating as far back as Galaxy S.
Expected release date: December 2016. Android Nougat has released a bit earlier than when Marshmallow released last year, and with Google sharing the Android 7.0 code with OEMs like Samsung comparatively earlier too, we expect the Nougat update to release for eligible devices, including the Galaxy S6 Edge+, to be quicker than when Marshmallow released last year for similar device in OEM hierarchy. As we’re expecting the Galaxy S7 and S7 Edge Nougat release to happen in September end or by October-mid, we’re hopeful of Samsung starting rollout of Nougat OTA for Galaxy S6 Edge+ by December-end. If not, then January 2017 looks like the deal. Expected release date: March 2017. AT&T is not only mediocre, but frustratingly poor when it comes to updates. No wonder the Galaxy S6 lineup at the carrier received 6.0.1 only after all other variants had secured one. That’s why we are not expecting quicker release of Nougat at AT&T for the Galaxy S6 Edge+. Expected release date: January 2017. Being one of the quickest among all US carries, and leaving behind even the unlocked variant for its S6 Marshmallow, Sprint has the best chances to bring Nougat to US before other carriers. Sprint used to lag behind, but in the past few years, that hasn’t been the case. Which is remarkable good. If Sprint Galaxy S6 Edge+ gets the Nougat OTA before the international counterpart, then it will be quite a feat. If that happens, look for December release, otherwise it would be January 2017. Sprint released an update today (September 15, 2016) that brings in Google’s monthly security patches for the month of August and September, and also updates the Wi-Fi calling client on the device — you should see improvements in Wi-Fi calling because of that, whether that be clear voice or less of call drops. The update is not Nougat of course, and comes as software version G928PVPU2BPH9. Sprint says that the PH9 update has begun rolling out since Sept. 14, and would be done by Sept. 18. T-Mobile should be one of the quickest to update its devices with Nougat, but given its delay in testing and pushing out the 6.0 update, we’re not that hopeful anymore. It even lagged behind Verizon, who is traditionally known for, well, lagging behind. There are chances of Jan-February release if T-Mobile pays due attention, but if not, then March is the best bet. T-Mobile just rolled out an 6.0.1 based update as build G928TUVS4DPH2, and it brings the September level patches to the device. That’s pretty quick and impressive of T-Mobile, something which we hope carrier be like when the time of Nougat release comes over in next few months. Expected release date: February 2017. Verizon should be the one scoring the Android Nougat update right after Sprint rolls it out in US, our Marshmallow based assumptions say. Not the quickest, but not the slowest either, anymore. The Nougat update won’t be too late, thus, but won’t be quick enough to win any hearts really. If you own a Verizon Galaxy S6 Edge+, then expect the Android 7.0 update hit by February 2017. You can expect the US Cellular to roll out Nougat update around the same time as Sprint, which is cool. By all looks January release is what you may look forward too, but don’t be too much surprised if it comes by February. We’ve seen time and again that the T-Mobile and Canadian variants of Samsung devices are exactly similar. In such cases, the update too rolls out together. But even though that’s not the case always, we still hope for Nougat release for Canadian carriers like Wind, Telus, Bell Mobility, Videotron, Rogers, Sasktel, Eastlink, etc. Look out for March release. What are your thoughts on the Nougat release for Galaxy S6 Edge+?